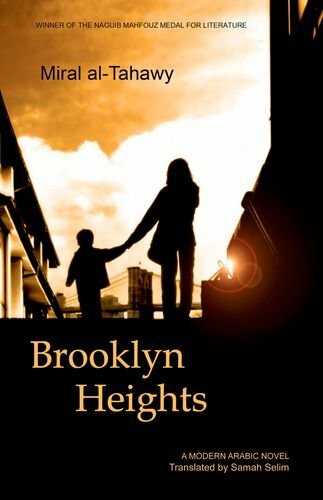 Hind, newly arrived in New York with her eight-year-old son, several suitcases of unfinished manuscripts, and hardly any English, finds a room in a Brooklyn teeming with people like her who dream of becoming writers. As she discovers the various corners of her new home, they conjure up parallel memories from her childhood and her small Bedouin village in the Nile Delta: Emilia who sells used shoes at the flea market smells like Zeinab, the old woman who worked for Hind's grandfather; the reflection of her own body as she dances tango awakens the awkwardness of her relationship to that body across the years; the story of Lilette, the Egyptian bourgeoise who has lost her memory, prompts Hind to safeguard her own. Through this kaleidoscopic spectrum of disadvantaged characters we encounter unique but familiar life histories in this award-winning and intensely moving novel of displacement and exile. It was the winner of the Naguib Mahfouz Medal for Literature, and was shortlisted for the 2011 Arabic Booker prize.